Easy to prepare Anjeer Milk Burfi is delicious and ideal to be served at any kind of occasions. It is made by mixing figs with sugar, concentrated pure whole milk and garnished with dry fruits flake. These are available in different weights as per the requirement of the clients. In addition, we offer online ordering options and is delivered in an attractive gift packaging. Presenting a unique collection of Banana Milk Burfi that is known for its good taste and high nutrition values. Our well known sweets are made as per client's accordance and are offered in attractive packings. Our innovative range of Lychee Milk Burfi is prepared with lychee, milk and sugar. It is garnished with silver foil and dry fruits. This sweet is made under strict supervision of quality auditors while maintaining the proper hygienic conditions. It is offered at economical rates and in different weight sizes as per the clients requirements. 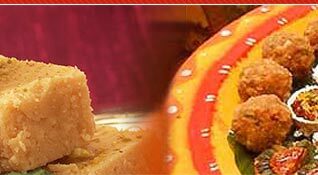 We specialize in offering a distinctive range of Malai Mix Burfi. 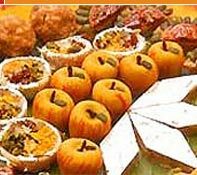 These sweets are widely availed in festive seasons. Available in different packings, these are prepared in hygienic conditions using fresh milk and other ingredients. Our qualitative range of Malai Peda are pure, tasty and made hygienically. Available in huge quantities, these are prepared Pure Milk and Sugar. These are offered to clients in air tight cans in order to avoid spoilage. Our wide range of nectarous Malai Puri are highly appreciated for its perfect taste and low fat contents. Ideal for functions, ceremonies and other occasions, these sweets are prepared using excellent quality milk. We offer these sweets at competitive prices. Our Pineapple Milk Halwa is prepared of flour and rawa crammed with delicious condensed milk granules that is then deeply fried. 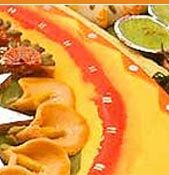 It is mouthwatering and appreciated by our clients for its quality, taste, fineness and cost effectiveness. These are checked for quality before finally delivering. In addition, we offer online ordering options for the convenience of our end users. Shahed (Honey) Milk Burfi (Without Sugar) is perfect for people suffering from diabetes. It is made by using honey, sugar, milk, ghee, edible silver foils and nuts. 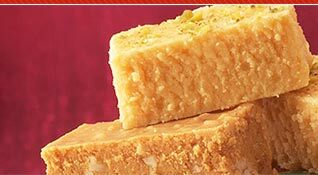 Sugar free is used in this burfi. These are prepared under proper hygienic conditions and strict quality supervision. It is delivered in properly packed attractive boxes to maintain quality consistency, taste and purity.